Music For Corporate Event | Michelle Bell; Your Central Iowa Violin Soloist For Any Occasion. 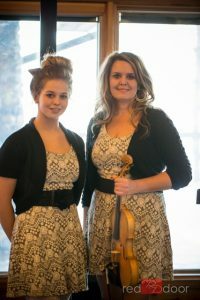 I hired the Fiddle Chics for a Raymond James client event. Both Michelle and her daughter Sarah did an outstanding job of entertaining my guests and handling special requests. They did a nice job of playing a variety of songs from different genres. I would definitely recommend them to friends and colleagues. Posted	on Saturday, February 4th, 2017 at 9:25 am	under Uncategorized.